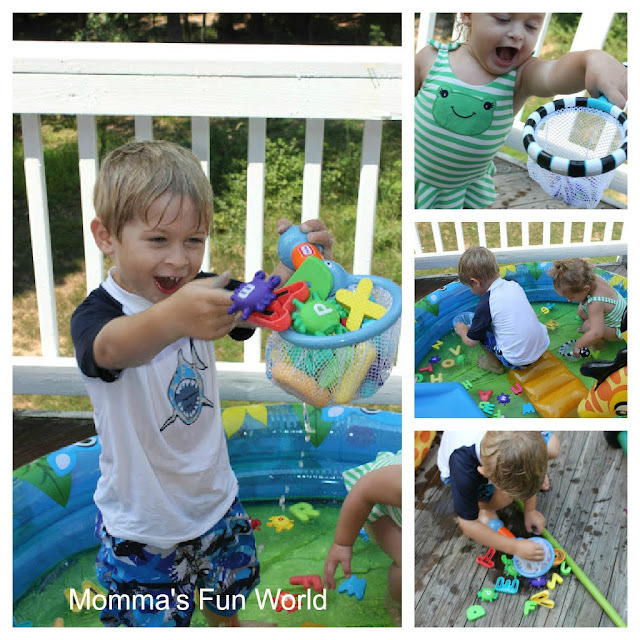 On this HOT summer day we were playing in the pool and I wanted to throw in a little learning fun. 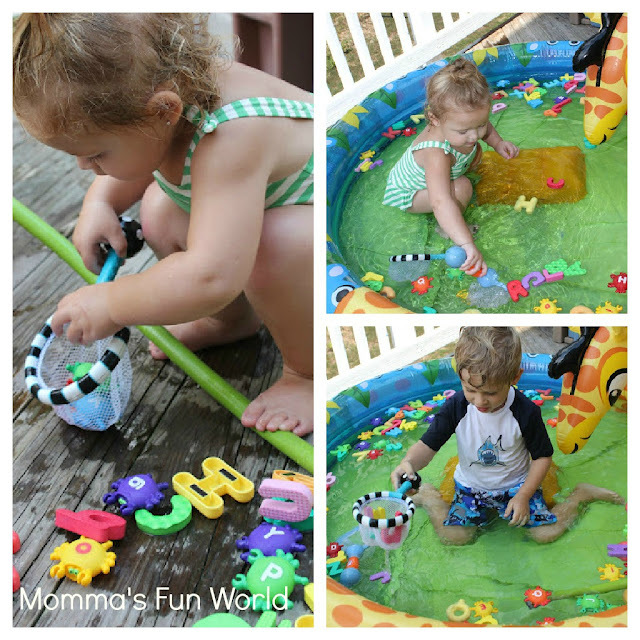 So I filled the pool up with all the letters we have and we scooped up letters. Then dumped them out to see if we could spell words. J and C had fun, after doing this for about 25 min then he said mom, "we need to dive in the ocean and get a bunch." 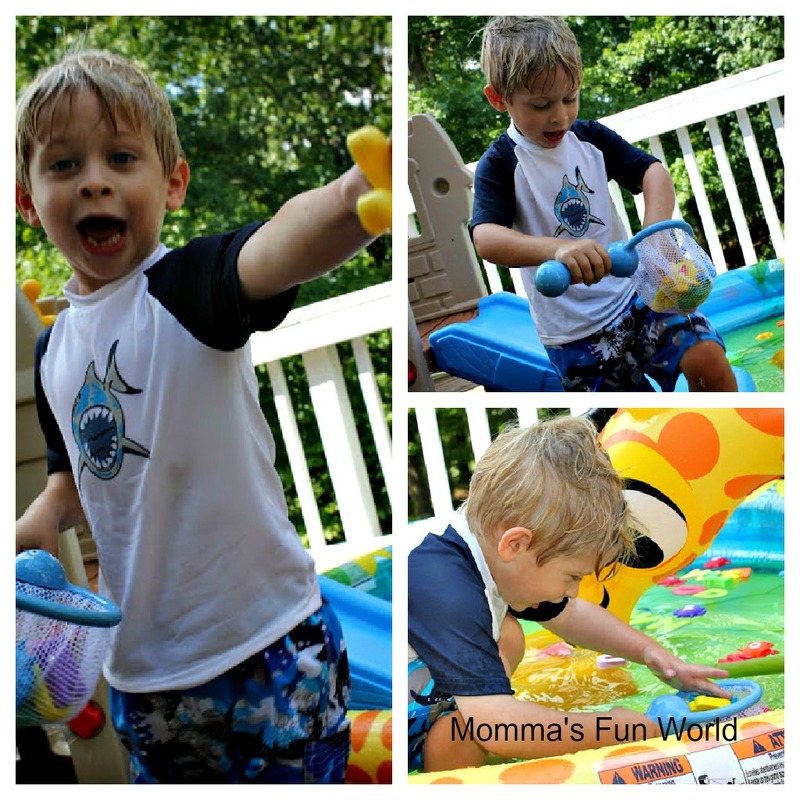 He remembered when we played with the water beads and scooping them. This was alot of fun, they did it for about 45 min. Simple, fun and he didn't even take it as learning. You can also do this in the bath tub if you don't have a baby pool. 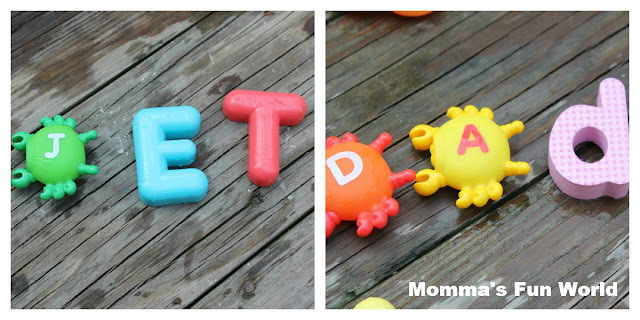 Couple words we spelled, also did mom, meme, fun, hi, net, play, cat, dog and hat. 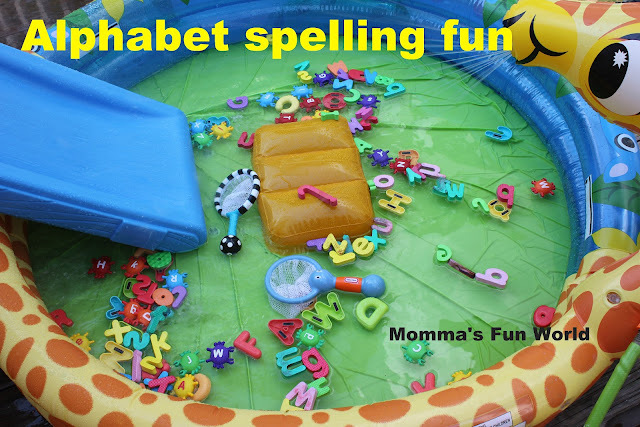 If you are looking for fun and easy thing to do with the kids to learn alphabets be sure to check out.